The storm surge is expected to get worse at high tide. 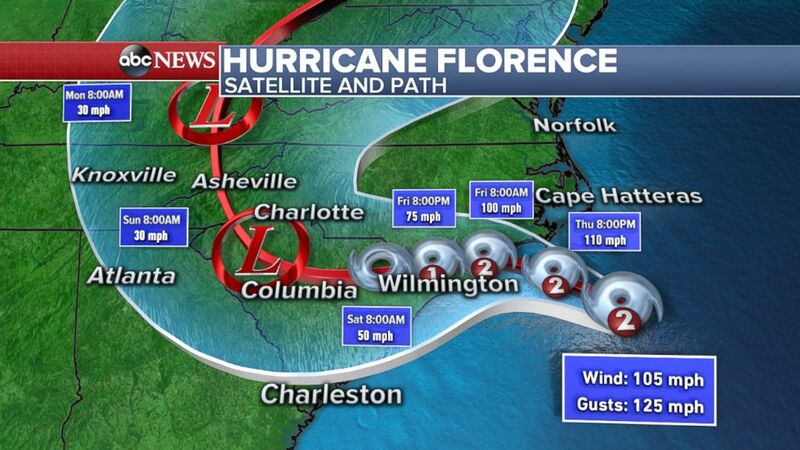 (ABC News) Map shows the projected path of Hurricane Florence as of 11am, Sept. 13, 2018. 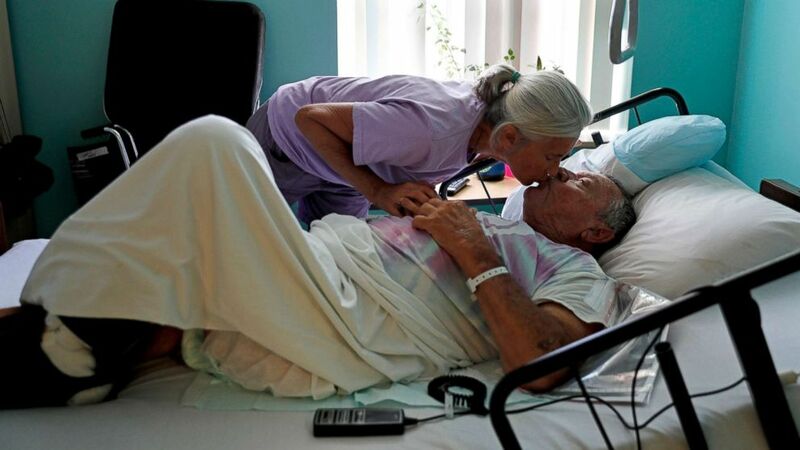 (David Goldman/AP) Marge Brown, 65, says goodbye to her father, George Brown, 90, before he is evacuated from a healthcare home in Morehead City, N.C., Sept. 12, 2018, as Hurricane Florence approaches the east coast. 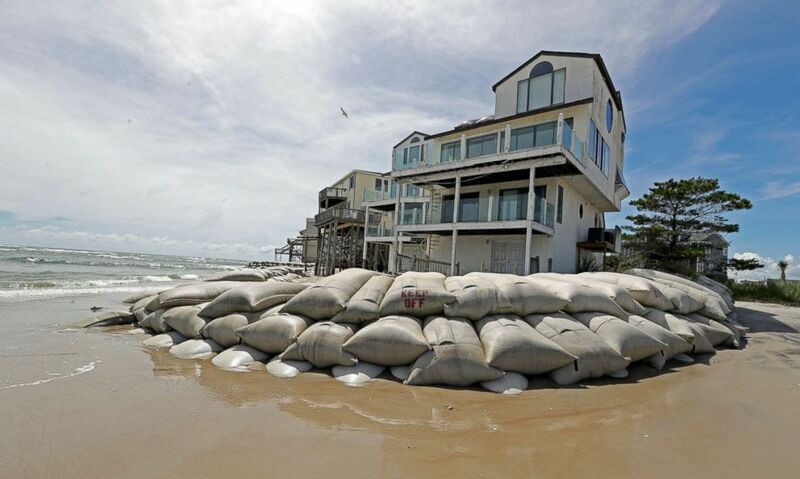 (Chuck Burton/AP) Sand bags surround homes on North Topsail Beach, N.C., Sept. 12, 2018, as Hurricane Florence threatens the coast. 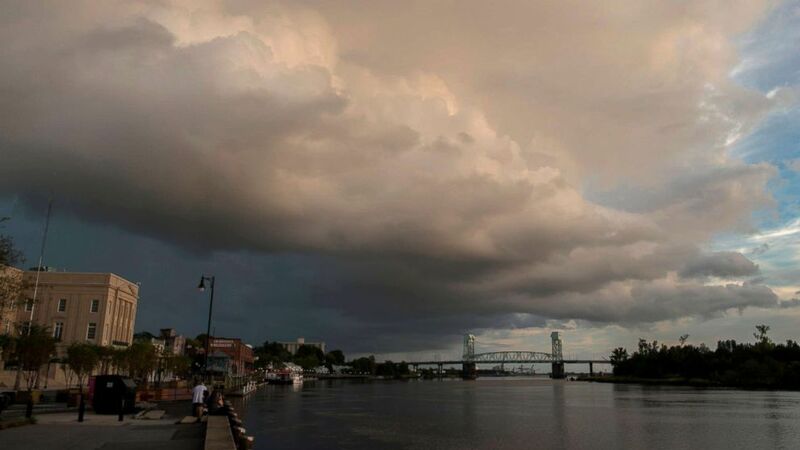 (Andrew Caballero/AFP/Getty Images) A large rain cloud passes over a day before the arrival of hurricane Florence in Wilmington, N.C. on Sept. 12, 2018. 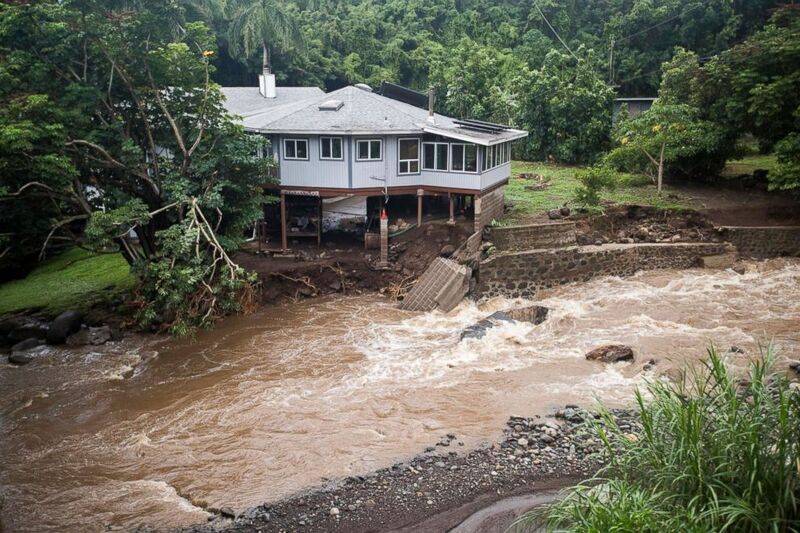 (Cindy Ellen Russell/Honolulu Star-Advertiser/AP) A home on Kahekili Highway near the Waihee River Bridge, was evacuated after a flash flood breached the property, Sept. 12, 2018, in Maui, Hawaii. 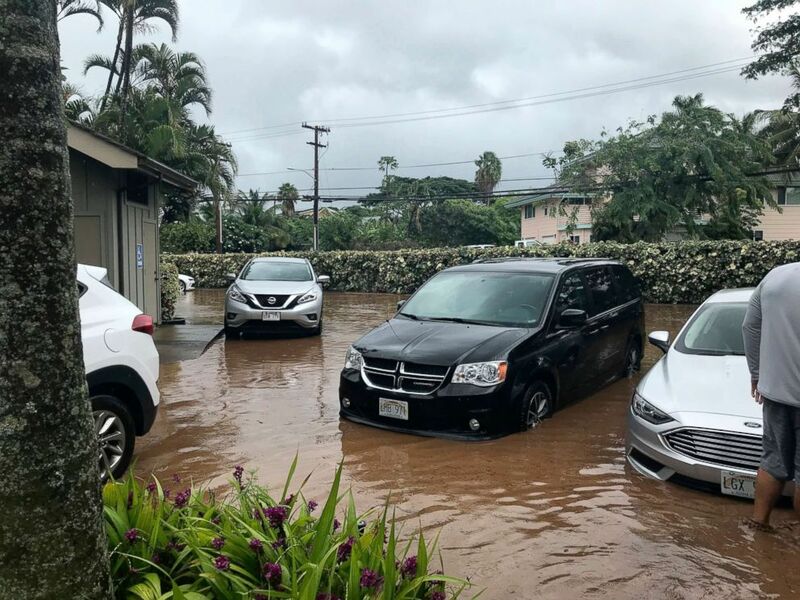 (Lauren Greer/AP) Water floods a parking lot at a condo complex near Kahana Village in Lahaina, Hawaii, Sept. 12, 2018.